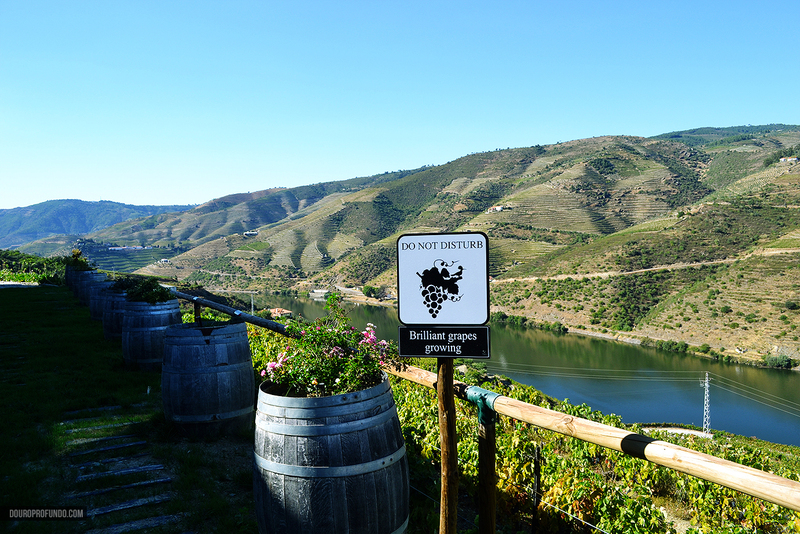 During last year’s Harvest, while enjoying the scenic N222 highway along the Douro river, we first noticed the sign for Quinta do Pôpa, and decided to stop by. 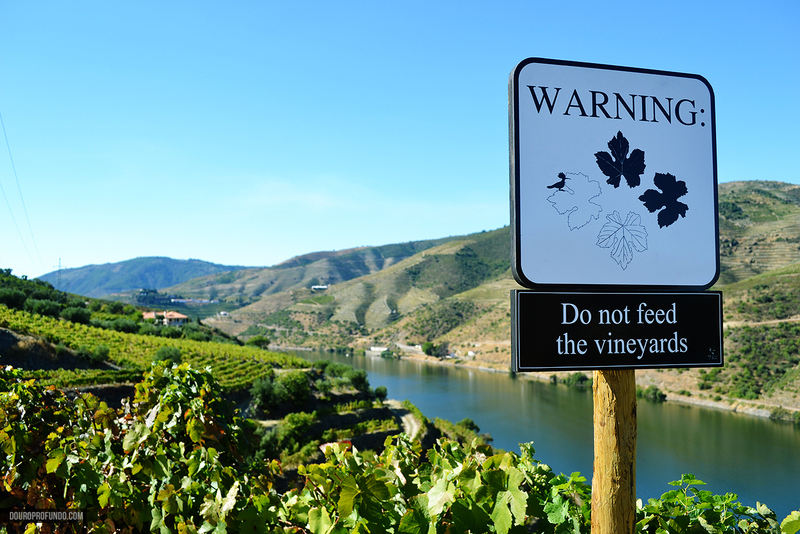 Since then, Pôpa has become a place we make a point of visiting each time we’re in the Douro. 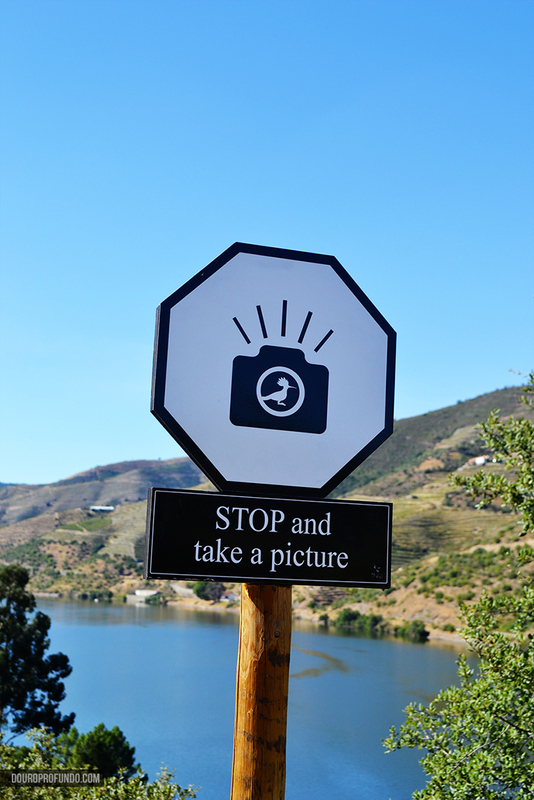 On the steep climb up to the estate you’re greeted with some whimsical road signs warning you “Do not disturb: Brilliant Grapes Growing” and suggesting that you “Stop and Take a Picture”, which you’ll quickly find out is sound advice: the view is definitely one of the best in the Douro. 14 hectares of grade A vine overlooking the Douro river, including 3 hectares of Vinhas Velhas (old vines) that are over 60 years of age. 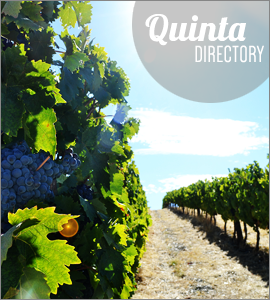 A network of family members and the guidance of Luis Pato are the formula to this estate’s success. This is a team who is not afraid to innovate and try new things, both when it comes to winemaking (their Popa Doce that we review below is a prime example) and when it comes to marketing. Their labels are gorgeous, as are their wines. We were charmed by the beautiful estate and moved by it’s history of overcoming adversity and strong family ties, but in the end it was the wine that completely blew us away. 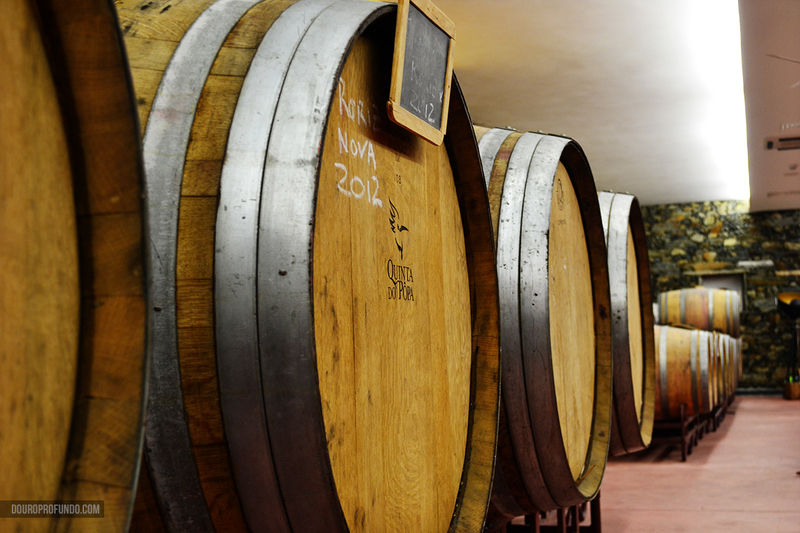 Quinta do Pôpa’s history starts with Francisco Ferreira, nicknamed “Pôpa” because of his impeccable pompadour hairstyle. 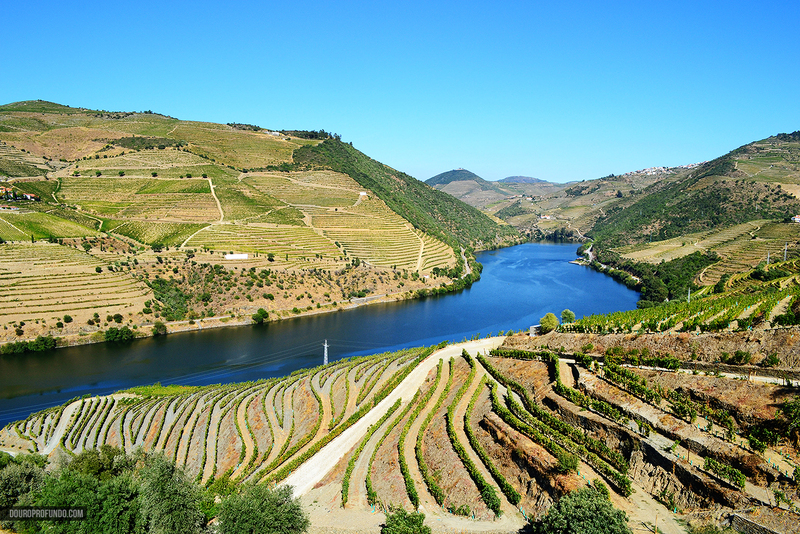 He was the illegitimate son of a wealthy winemaker, and the wine and soil of the Douro ran through his veins. 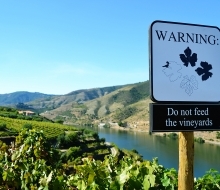 He left a legacy that is now set in stone and vine thanks to his son, José Ferreira. 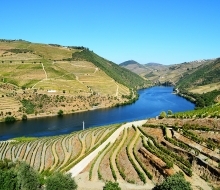 After making a life for himself abroad, he fulfilled the dream of his father of owning an estate and producing wine in the Douro. 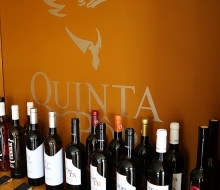 In 2003 he purchased Quinta do Vidiedo and renamed it Quinta do Pôpa in honor of his father. 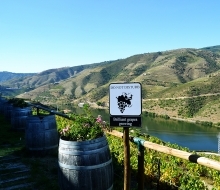 In 2008 the family took the challenge of producing wine, and this young estate has established itself as a quality winemaker, despite the short years it’s been active for. 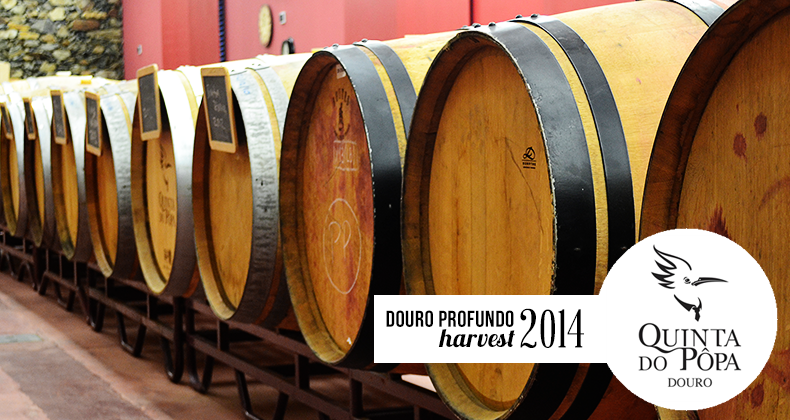 When the time came to prepare this year’s harvest trip, Pôpa was at the top of the list. The reason for that was very simple: a red wine made exclusively out of old vines that they simply call VV, for Vinhas Velhas. This wine was not only the best that we had during our trip last harvest season, it was one of the best that we had that whole year. We were very excited to be making that steep climb a second time. We were welcomed by the familiar face of Leila Freitas, who with true Douro hospitality greeted us with a warm smile and even remembered us from our previous visit a year ago. 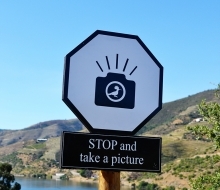 We were joined in our tasting by two other French tourists, who shared in the awe for the landscape and the wines. Like many foreigners we meet, they were amazed by how little publicity and acknowledgment the region gets, something that we hope will start to change quickly. Contos da Terra White: Made from a blend of Moscatel, Viosinho, Fernão Pires and Malvasia Fina, this wine shows lots of white fruit on the nose, with a hint of citrus. Tasting it, you can’t get over how wonderfully fresh and vibrant this wine is, with a distinct taste of melon. A great wine for a warm day, and to go with a light meal. Contos da Terra Rosé: a delicate Rosé that fortunately escapes the trend of overly sweet Rosés that seems to be the trend. It’s a very light, delicate wine that keeps true to the grape. We are always inclined to prefer more vinic Rosés instead of the sweeter, more aromatic ones and this one is definitely to our liking. 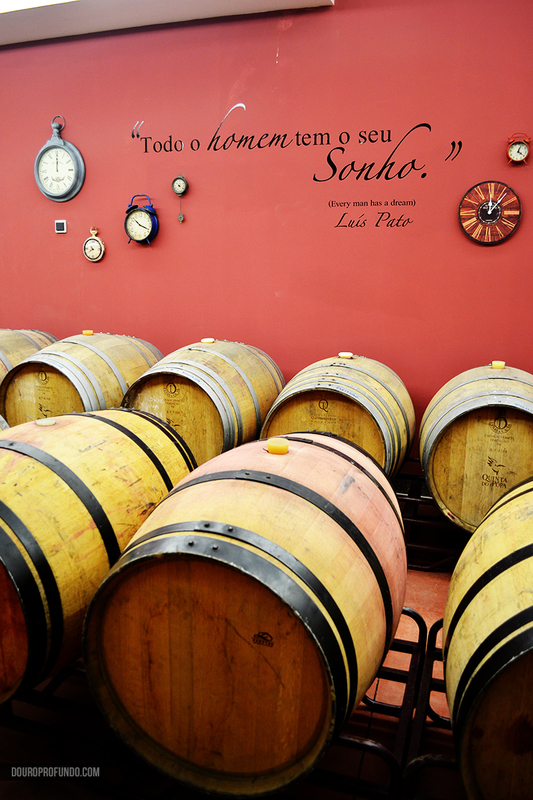 We Recommend: VV Tinto 2007 (Vinhas Velhas) – This wine brought us back to Pôpa, and the quality has not changed. This wine completely stole the show: it is incredibly elegant and complex, something that only old vines can do for you. On the nose it opens with some red fruit and some nuts, almost like a young Tawny Port. The flavor is where you get the full idea of how balanced this wine is, with it’s smooth silky texture and finish, rounded tannins, great fruit and slight hints of spice. A wine we’re going to go back to make a full review of soon, because we couldn’t leave without a bottle. Pôpa Tinto 2012: Another red, this 2012 is a great wine. 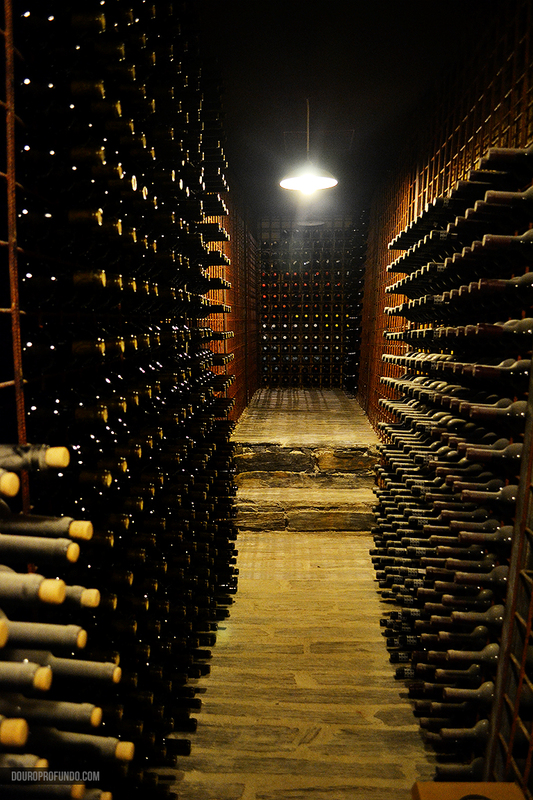 It’s relatively new in the estate’s lineup, but we hope it’s here to stay. Great ripe fruit on the mouth, with amazing acidity and tannic structure. Definitely a wine that has some aging potential, at least 2 or 3 years, but is already a great wine. 2009 TR: aged in French oak for six months, this Tinta Roriz single varietal surprised us with its minerality, acidity and its vibrant tannins in the finish. We found that the fruit was little hidden in this one compared to the others, but it was only a matter of time before it started to come out of its shell. It’s a very delicate and elegant wine, very well balanced. 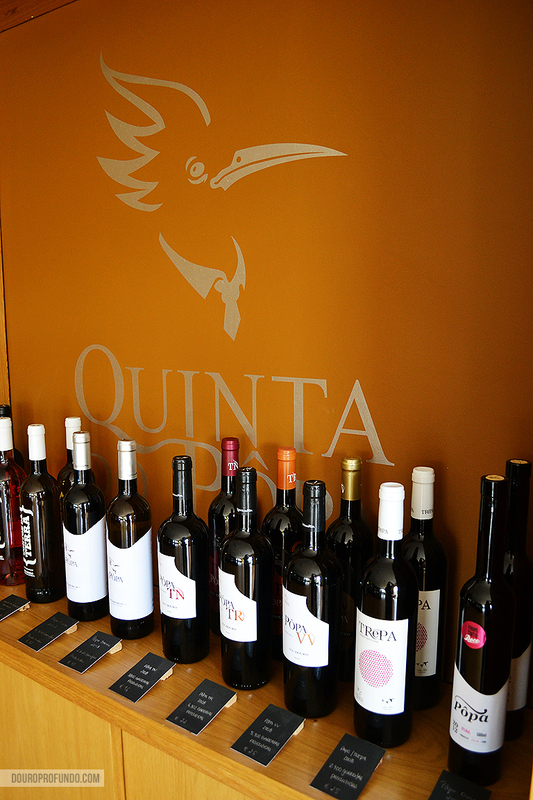 Pôpa Doce: Quinta do Pôpa is the only producer in the Douro to make this kind of sweet red wine. It has a fresh fruit fragrance and on the mouth it has a light red fruit taste, with a short to medium finish. 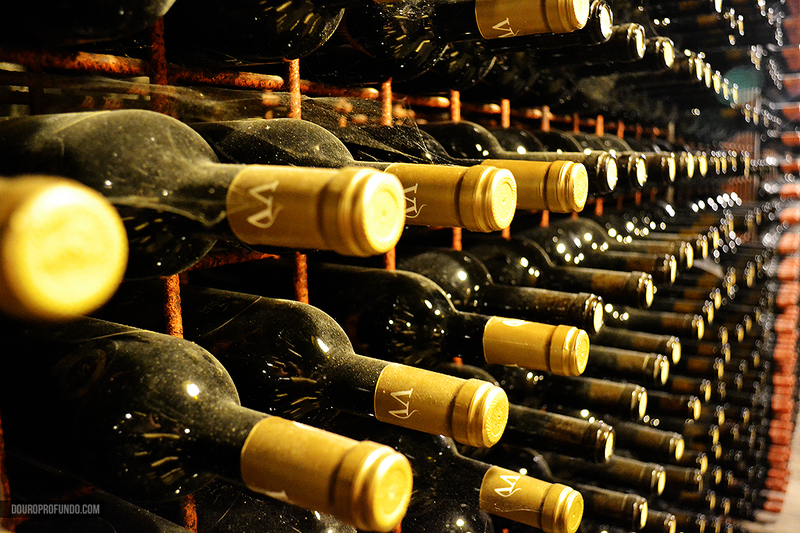 Don’t mistake this wine for a late harvest wine, however. The sweetness of this wine doesn’t come from the “noble rot” of Botrytis cinerea, it comes exclusively from the grapes, which are a blend of old vines. 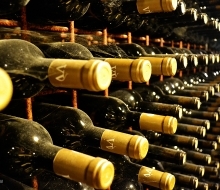 The fermentation of these grapes is stopped early on by drastically lowering the wine’s temperature, which makes for a very light, sweet wine with low alcohol that is best served chilled. A real treat to go with desserts. After this amazing tasting, Leila had another surprise in store for us. The year before when we visited, we had missed the opportunity to tread grapes by just a few days. This year, we arrived just in time: the last of the 2014 harvest was ready for one last stomping. So we geared up and had a great time, accompanied by our new wine friends and with one more glass of the VV. This would be our very first time treading grapes, and we were so happy and grateful Leila invited us! 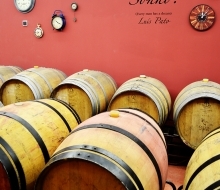 Their two lagares are stainless steel, and in the same room you can also admire the large stainless steel vats where the wine not meant for barrel aging is kept. 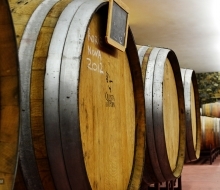 We hope to try the wine we helped make soon! 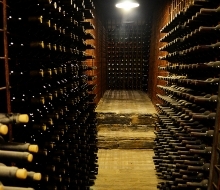 After that, it was time to take a tour of the cellars, where we got to see their wine collection and the aging room. 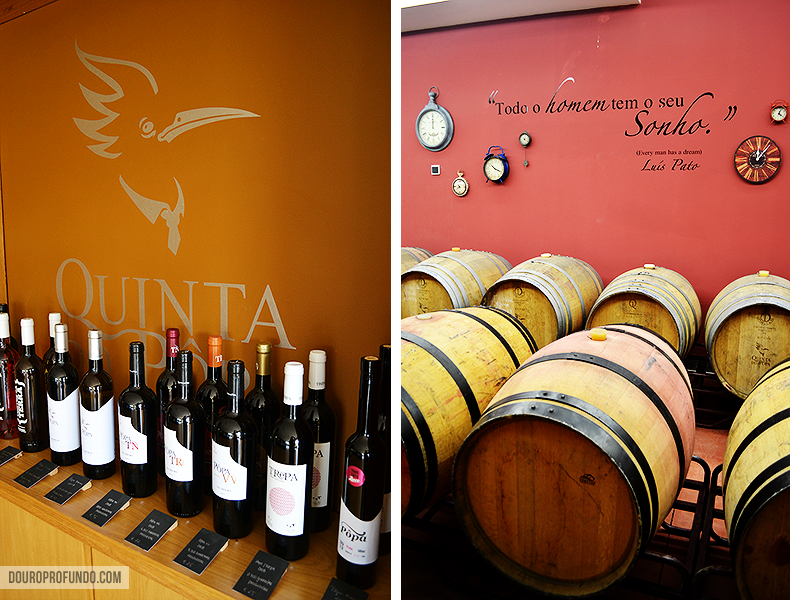 There was also time for one exciting revelation: Pôpa might venture out and try their hand at some Port soon! It makes sense to us that an estate who are so full of innovation circle back to make the wine that made this region famous. Many thanks to Leila Freitas and the rest of the Pôpa team for their kindness and hospitality, we know we’ll be seeing everyone again soon!